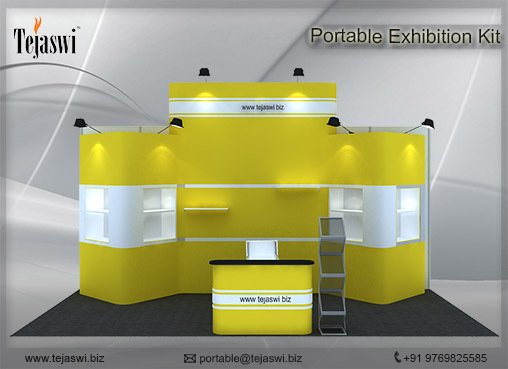 Perfect Portable Exhibition Stall Combo for Display in 6 Meter x 3 Meter Three Side Open Exhibition Stall Size. Exclusive 6 Meter x 3 Meter Portable Exhibition Stall Combo to maximize the impacts in any Exhibitions, Seminars, Conferences, Events etc Globally. These Portable Exhibition Stalls are created for easy assembling and dismantling for multiple setups. 1. Customized Magnetic Backdrop with High Quality Print for Back walls ( With or Without Shelve Option Available).